Thoughtful, beautiful, and lucky, this bamboo gift is topped with a star to make the perfect, elegant Christmas gift for all recipients. 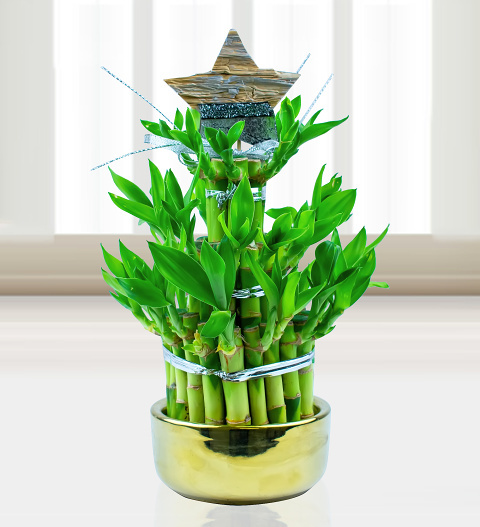 Lucky bamboo is very easy to care for and, as it grows, it becomes more and more beautiful. It's also an excellent gift for wishing your friends and loved ones all the best for the year ahead.